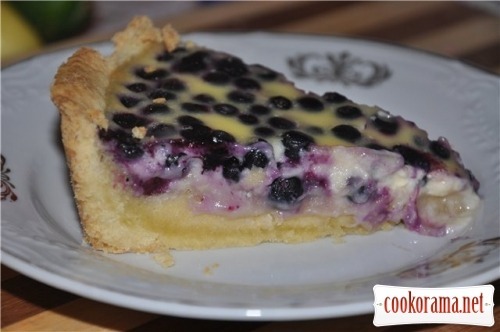 So: the cake is made of delicate short pastry, and any berry can be used for stuffing, even frozen. 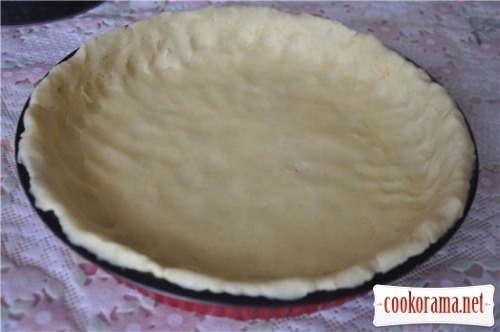 Stuffing is poured with filling, which after baking looks like pudding, that`s why pie is especially gentle and tasty. At first need the dough. 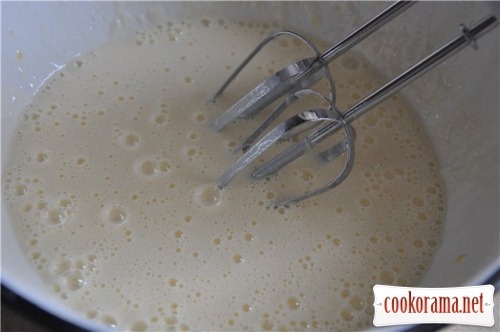 In a bowl sift 2 glasses of flour; add pinch of salt, 2 tbsp of sugar and 1 tsp of vanilla sugar. 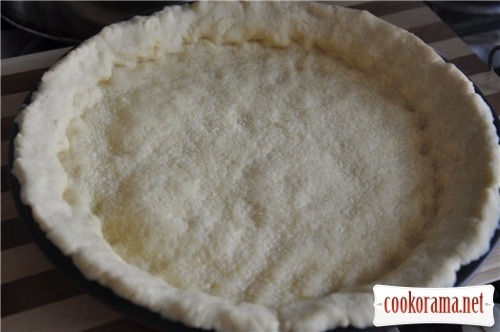 Rub 200 g of butter and add to flour, grind it in a food processor (it`s more comfortable), and knead with hands. 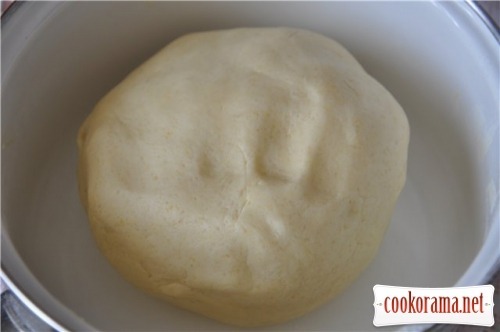 The dough will have the consistency of small crumbs, then add 1 yolk, knead and make a ball. 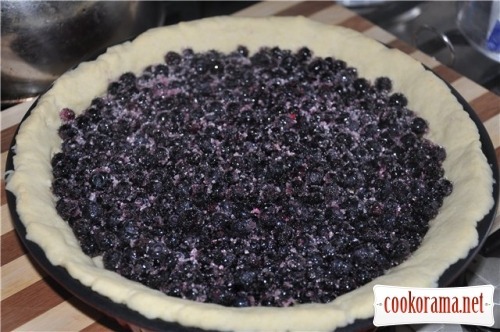 Cover the dough with foil and put in the fridge for 30-60 min. Then put dough in form (preferably 24 сm in diameter, but I made with smaller one), roll well, form the edges. Put in the oven at 200 C and bake for 10 min. 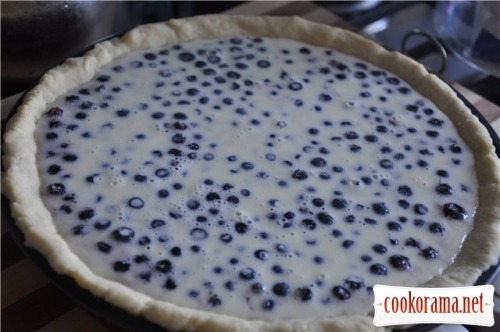 1,5 glass of berries (blueberry) wash, dry, mix with 4 tbsp of sugar and put on the bottom of baked cake. Make a filling: in a bowl mix 2 eggs, 200 g of sour cream, 2 tbsp of sugar, 1 tsp of vanilla sugar, add 2 tablespoons of starch. 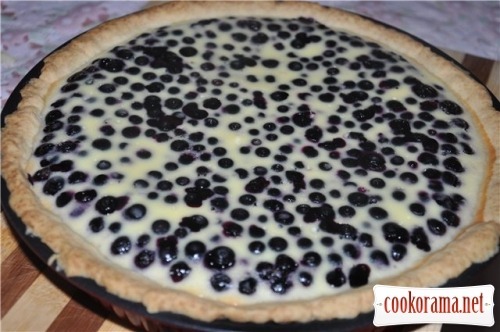 Top of recipe "Blueberry pie"
ps. додав його в обране вКонтакті і на фейсбуці. так можна свої рецепти рекламувати і додавати закладки на ті, які сподобались. Дуже смачний пиріг — ням-ням!!! Тільки в тісто додала 1ст.л сметани, бо занадто крихке тісто получилось і не давало розтачатись! Дякую за рецепт!